'Eigen Water' R.O. water purifier for domestic use. 'Eigen Water' RO water purifier based on reverse osmosis technology suitable for bottled water plant, food processing units, beverage industries, village plants, swimming pools, pharma industry, textile industry, green houses, farm houses, ice industry, and poultry farms. 'Eigen Water' Drinking water Purification system with & without Ultra Violet (UV) Sterilizer. 'Eigen Water' Hot & cold Water dispensers with R.O. System inbuilt. 'Eigen Water' R.O. 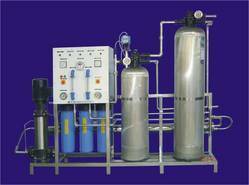 water purification System for houses, offices, restaurants, hotels, banquet halls, laboratories, doctor's clinics, hospitals, schools colleges, institutions and others. Water softening plant for hard water for applications like industry, laundry, boiler, soft drink plant, ice factory and others. Providing Annual maintenance contract for systems supplied by us. Supply of spares, components and Accessories for water treatment industry.